After raising many important points about the development of the KAZ site at Tuesday's meeting of the Hudson Development Corporation, I was surprised to see them wholly overlooked in The Gossips of Rivertown's report of the meeting. Here is a summary of the points I made. 1. The development model presumed by the HDC board, and that shaped its previously issued Request for Proposals, is unwisely based on selling the site to a developer. For a purchase price of around $2M, the developer would own the site in perpetuity. Given that the developer almost certainly will reside outside Hudson, every rent check written by a residential or commercial tenant of the project will leave Hudson. Reasonable accounting projections suggest this could amount to over $200M over the first 30 years. By contrast, if the site were locally owned and developed, this same $200M would go to local property owners, and much of it would be circulated in the Hudson economy. 2. In the HDC’s presumptive development model, the developer would not pay property taxes, but would make an annual PILOT (Payment In Lieu Of Taxes) to the city. This amount will be significantly less than ordinary property tax. Using typical PILOT deals as a guide, the city will receive millions of dollars less in tax revenue over the first 30 years than it would through an ordinary property tax. 3. The HDC needs to commission a formal urban design study of the development area. Its intention so far has been to assign urban design responsibility to the developer. This way of doing things will not produce a desirable urbanscape; developers do not know how to do urban design. It also is backwards: urban design is not something appended to a building project. A proper urban design plan comes first, because it studies a wide range of factors that lie beyond the developer's interests and expertise. It defines the framework within which a developer builds. 4. The project area is improperly defined; it should extend beyond the 4-acre KAZ site. The city owns a 2-acre parking lot immediately adjacent, which should be studied and planned at the same time—even if the two sites cannot be built on at the same time. A proper urban design study would look at this and study the relationship of the development site to areas beyond, such as the Basilica and waterfront. 5. The board is mistaken in its assertion that ownership of the CSX site is necessary to providing access to the KAZ site. The site is accessible from a number of points, including the 2-acre city site. That said, I think it is likely that the best plan for the area will require some control over the CSX site. But the buildout of a large development can take years and decades, which means that control of the CSX site may not be needed for a long time. I encouraged the board to learn more about this via a formal urban design study, and to look into more nuanced possibilities in the meantime. For example, if only part of the site is needed, ownership of the rest of it could perhaps remain with CSX. Or if CSX’s needs can be accommodated elsewhere in the development area, a land swap becomes a feasible alternative. a. Create a system of streets and public spaces, sympathetic to and interconnected with the main Hudson street grid. b. Divide the resulting buildable areas into many small parcels, perhaps about 24' wide, as are found in most of Hudson. c. Sell the parcels to many local parties rather than one out-of-town party. These steps will bake local, human-scaled DNA into the project from the outset. Local ownership will mean rents will be paid to local landlords rather than out-of-towners; much of this money will be recirculated locally. Many property owners will disperse wealth more equitably among more people than one property owner will. They will pay full property taxes, growing the city coffers. Local culture will blossom: the project will employ more Hudsonians, foster more communal familiarity, generate more street life, produce more authentic architecture, and result in more humane streetscapes than the developer-centric model will. a. If my model is pursued, the city will not receive a single state dollar for affordable housing. b. Hudson needs new ideas, so the project should have a developer from outside the community. c. If my model is pursued, only rich people will be able to afford to live there. a. My model will bring tens to hundreds of millions more dollars into Hudson. Mr. Morgan Perez’ argument is that these millions should be traded for a few hundred thousand dollars in state subsidies. b. The localized model I have put forth is the new idea. The old idea is the course HDC has been on: hire an external developer, grant it tax breaks, and send local money away. (Also, to make the project look like it belongs, this model typically mandates a superficial pastiche of architectural features.) This made some sense for some cities to do decades ago, because it was the only way they could get the private sector to invest in blighted areas. This is not at all the situation in Hudson today. c. I forgot to address Mr. Morgan-Perez's final point on Tuesday. A brief re-rebuttal here: there is no evidence that low-income citizens have more difficulty affording housing in the type of environment I am proposing than in developer-centric projects. In fact, the greatest concentration of low-income tenants in Hudson is currently found on and in the vicinity of Columbia and State Streets. These streets adhere to the small-parcel model. This is not to ignore the need for affordable housing. This is a more complex and nuanced matter than I can expound on here; I will do so another time. For now, however, it must be noted that my model will vastly increase local wealth and distribute it more equitably. Ultimately, this means that fewer local citizens will need housing subsidy. 8. In Tuesday’s meeting, HDC board member Steve Dunn noted that there are geographic challenges to extending the street network, due to the considerable elevation of the main Hudson street grid above the KAZ site. This is true, but it is a manageable problem—and even a positive opportunity. Years ago, Second Street (which now terminates at Allen Street above the KAZ area) ran down the hill to where the Wick Hotel now stands. It was very, very steep; today there is a only public stair in this location. I am not convinced a drivable street could or should be reestablished here. But there are other opportunities for making connections. Among them, Montgomery Street and/or Dear Alley, currently dead-ends accessed from 23B/9G/Third Street, could be extended into the KAZ district via existing city-owned rights-of-way. And in a presentation at the Hudson Library in May, I offered a rudimentary proposal for a "Spanish Stair" that would celebrate the connection between the upper and lower areas. 9. In Tuesday’s meeting, HDC board member Nick Haddad said that leasing, rather than selling the KAZ site remains an option. Leasing would not sidestep the economic, financial, and cultural problems I have noted. A land lease typically lasts for at least 50 years, and perhaps most often for 99 years. But even a modest 30-year lease would cause massive economic and cultural harm, as noted above in my 30-year scenario. Further, a 30th birthday is the worst time to assume ownership of a building, for this is when many of the original building systems reach the end of their natural life. 10. Any proposal to develop the KAZ site, no matter how well conceived, may be trumped by rising waters. As is the case for any urban designer, I can't predict the likely outcome or prescribe the best course of action to take in response. Regardless, the HDC needs to figure out what it means to solicit investment in an area that may be subject to catastrophic environmental threat. I suggested, somewhat off-handedly but not insincerely, looking into the possibility of raising the land over the entire area one story, and placing parking underground in the flood zone. My proposal is not without flaws. [Here, I am expanding somewhat beyond my Tuesday comments.] The long-term economic superiority of localized, small-scale development is undeniable, but it may be more onerous in the short run. For example, the city will get $2M in one shot by selling the parcel to a developer, money that will arrive well in advance of any construction activities. This will help fund many of the things the city needs to do to prepare for the project, such as hire administrators and build water and power infrastructure. By contrast, the localized, small-scale model gives a city no money up front. This concern is not to be dismissed, but it also is misleading. Any monies HDC gets from a land sale will have to be put back into the project to cover administrative and infrastructure costs. So there is no real economic gain, just the initial appearance of one because of the opportunity to wave a $2M check in the air. Very soon after, the costs to HDC and the city will exceed this amount, and they will have to cover these costs from their own pockets. Because a locally-based, small-scale model won't produce an initial $2M check, HDC and the city will be on the hook right away for funding new infrastructure. This is a problem for sure; on the other hand, the incremental pace of development that attends to the local/small-scale model means that infrastructure costs also tend to be incurred incrementally. 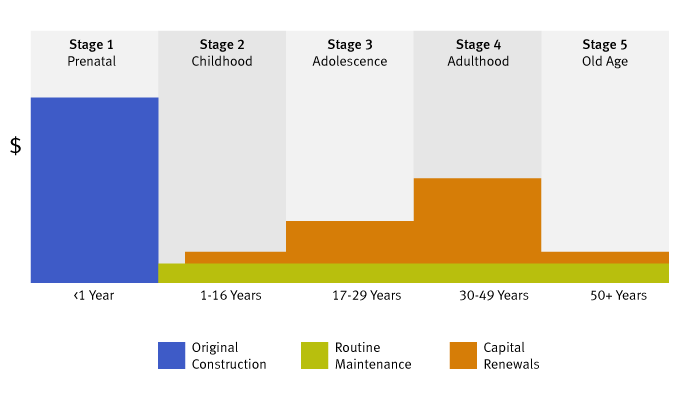 The buildout of streets, curbs, water, sewer, and power can occur over a longer period of time, and can be funded through the ongoing sale of parcels. Again, I am broad-brushing; but given the egregious problems of the conventional model, HDC needs to find creative ways to fund the local/small-scale model and get it off the ground. It will be amply rewarded for it. The developer-centric model looks like it produces $2M more dollars but it does not; it is simply a highly efficient way of sending money out of the community. Finally, as I noted to the HDC board on Tuesday, I wish to express my appreciation for its ear. It has listened rather carefully to my complaints and pontifications over the past half-year, and has indicated some interest in pursuing them. I eagerly await the next steps.